Quest Times: Zdravko Mamic sentenced to six-and-a-half years in prison for corruption. Zdravko Mamic sentenced to six-and-a-half years in prison for corruption. He is considered the most powerful figure in football in Croatia, but now Zdravko Mamic has been sentenced to six-and-a-half years in prison for corruption. 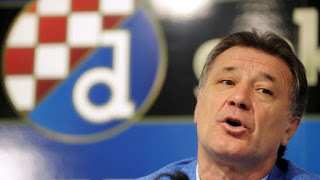 Mamic was found guilty of siphoning off millions of euros in transfer fees when he was an executive at Dinamo Zagreb. On the eve of the verdict he fled across the border into Bosnia. Among the ex-Dinamo players caught up in the trial is Croatia captain Luka Modric, who was charged with perjury. The Real Madrid midfielder is suspected of having made false statements during the trial, when he was questioned about his 2008 transfer to Tottenham Hotspur. He has not commented on the charge. The case will not affect his role in the World Cup in Russia later this month.